ElasticEmail operates under Geographical Media Inc. They are based in Canada but their sites are hosted in the United States and some areas of Europe. Geogrpahical Media Inc. has been in the business since 2006, developing cloud based services for developers and marketers. ElasticEmail is a cloud based online platform that helps marketers deliver their emails with preciseness and efficiency. They offer services for both transactional and marketing email campaigns. Pay only for what service you use, no more, no less. They have helped thousands of companies and sent over millions of emails each month. There are available ElasticEmail templates according to your campaign. These templates come in different categories to make sure you’ll find the best one suited for your emails. They have free and premium templates that you can edit to suit your newsletters or you can build your own with their drag and drop HTML editor. Premium templates can be purchased in your ElasticEmail account from Stamplia or you can sync your account for easier access. ElasticEmail have campaigns for transactional and marketing email. Each has a different set of helpful features to ensure maximum efficiency on your campaigns. Manage your subscribers – With the help of their subscriber tools, all the details that you need regarding your contact list will be updated so you can keep track of all your active, unsubscribed, bounced and complained subscribers. Create or choose a template – You can choose from their pre-designed templates, edit them or create an entirely new customized template for your emails campaign. Secure email delivery – ElasticEmail makes sure that all your emails land in your recipient’s inbox. They will not compromise their sender’s reputation since their platform is designed especially for bulk emails. Use your own domains in sending emails – You can send emails via your own domain. This helps get rid of potential spam and we want to give you the confidence in building trust with your customers. Activity reporting – Track all the activities on your campaigns in a visual representation of all the necessary statistics on each campaign. View all the emails you have send and the reports that come with them such as delivered, undelivered, opened, clicked emails and etc. A/B Split Test Feature – Use this feature if you want to get an idea of what delivery times work for you the most. Run the test with the needed data in order to come up with a result. You will be able to view the results of your test and see which one is the best campaign for you. Send emails or SMS with one API – They have API that supports both email and sms. You can instantly view the results in one log. You can manage your notifications and offer them an option whether they want to receive via email, SMS or both. Create and choose the best transactional template – Create and design your own template or use a pre-made template from their system. Dedicated IPs and automated pools – This is to ensure that you emails will be sent with emails that have similar rates. This is to avoid putting your email delivery at risk due to another customer’s poor performance. Sub-account control panel – Makes managing multiple domains a lot easier. Get an API for everything – ElasticEmail has a growing number of quality APIs that you can use on your campaigns. ElasticEmail has multiple offers: Unlike other email marketing platforms, with ElasticEmail, you only pay for the services that you use. Also the prices will depend on the quantity and quality of your sent emails. As you send quality emails, you’ll also gain a better reputation and prices will drop. In short, the longer you use the service, the better reputation you have then the lower your costs will get. Does ElasticEmail have a FREE PLAN? No. ElasticEmail does not offer a free plan. Does ElasticEmail have a FREE TRIAL? Yes. ElasticEmail offers a free plan. 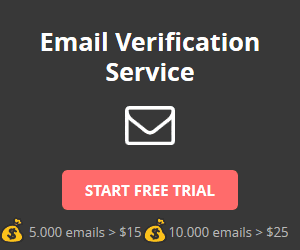 They will give new clients a chance to test out their service by giving them the first 1000 emails for free. Does ElasticEmail offer an API ? Yes. ElasticEmail offers an API. ElasticEmail has available APIs for their clients to use. They also offer private API for purchase. One day they simply turned off our account in a midnight! We have thousands of users, some of them do random things like marking “rassword recovery email” as spam etc. they simply turned off account. Disturbed entire service for a morning. All the emails stopped working. You know what support person answered? Thats true way to customer success. Be warned! It would be great if this article got some updates. Elastic Email now offers 150,000 free emails monthly and 24/7 customer support. Many things improved much, customer support responds within 40 minutes to all users.